You feel sick and feverish. You can’t breathe easily anymore, and your appetite is long gone. This is just how you feel initially, following the onset of a bad cold that is accompanied by nasal congestion (stuffy nose). A stuffy nose is annoying and can make your life difficult. But, there is no need to fret because there are all-natural ways to clear a stuffy nose. Keep reading to clear all your doubts about nasal congestion and how it can be cured with home remedies. What Causes Stuffy A Nose? Stuffy nose is a commonly used term for nasal congestion. Most often, this condition is a result of an underlying health issue – like the common cold. A stuffy nose is often associated with the following signs and symptoms. Many newborns may also have nasal congestion that may last for a month. The congestion may also be accompanied by sneezing and is completely normal. Infants may also have trouble feeding due to a stuffy nose.Nasal syringing is commonly used for infants, why not for adults! One of the main reasons for a stuffy nose is inflammation of your nostrils. The causes of a stuffy nose are listed right below. If you have experienced nasal congestion, you know how difficult and bothersome it can be. It can cause you to lose your appetite and make breathing quite difficult. To help you clear your stuffy nose and restore your normal breathing, we have compiled a set of natural remedies. Try them out! Take a bowl of water and heat it. Soak a clean washcloth in the bowl and place it over your nose and forehead. Leave it on for a minute or two and remove. Do this 2 to 3 times daily until you notice an improvement in your condition. The heat from the warm compress helps in reducing the swelling and inflammation in your inflamed nasal passages and sinus cavities. This decongests your nose and makes breathing a lot easier (1). Add a teaspoon of apple cider vinegar to a glass of warm water. Mix well and drink the solution. 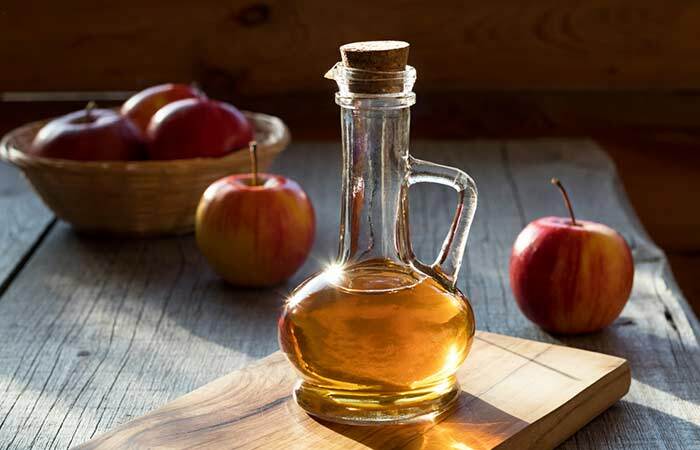 Apple cider vinegar contains acetic acid and potassium, both of which can help relieve symptoms of a stuffy nose. Potassium helps in thinning the mucus, and acetic acid fights microbial infections causing the congestion (2). Add the peppermint leaves to a cup of water. Simmer for 5 to 10 minutes and strain. 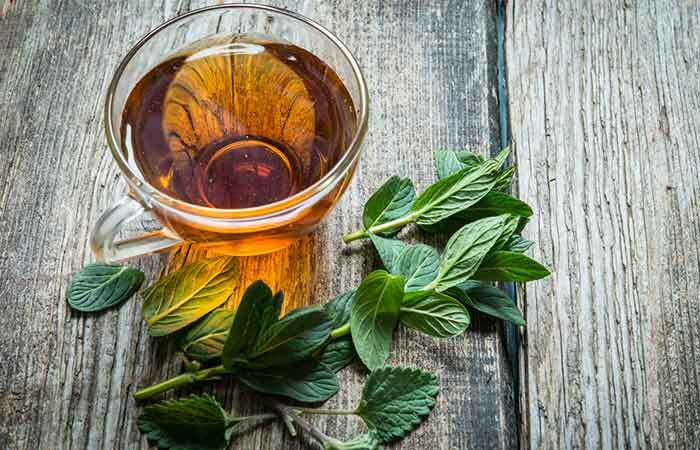 You can drink peppermint tea 1 to 2 times daily. Peppermint contains menthol that acts as a decongestant due to its anti-inflammatory properties and helps in relieving symptoms of a stuffy nose (3), (4). Add six drops of eucalyptus oil to a bowl filled with hot water. Bend your head over the bowl and inhale the steam. Cover your head with a towel to prevent the steam from escaping. 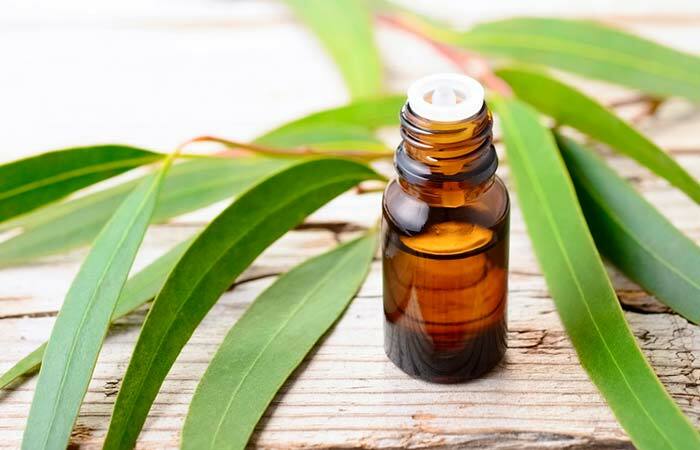 One of the major constituents of eucalyptus oil is eucalyptol. Eucalyptol exhibits anti-inflammatory activities that help in reducing the inflammation and swelling in your nasal passage, thereby relieving nasal congestion (5). Add six to seven drops of thyme oil to a bowl of hot water. Bend over the bowl and cover your head with a towel. You must follow this procedure as and when required. Thyme oil contains thymol, a powerful antimicrobial agent that can help fight infections (6). It is also anti-inflammatory and helps with nasal inflammation (7). Add a few drops of rosemary oil to a bowl filled with hot water. Cover your head with a blanket or towel to prevent the vapors from escaping. Do this once daily until your symptoms subside. 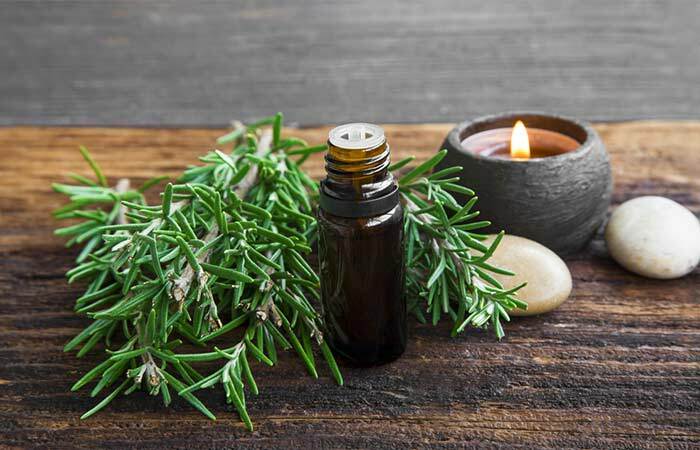 Rosemary contains constituents like camphor and cineole (eucalyptol) (8). These compounds help in relieving symptoms of cough and cold due to their anti-inflammatory activities (9). Take a neti pot and fill it with distilled saline water. Tilt your head over a sink and pour the saline solution from the neti pot into one of your nostrils. Allow the water to drain through your lower nostril. Breathe through your mouth while following this procedure. Rinse your neti pot with distilled water and air dry it after every use. Do this 3 to 4 times daily until you notice an improvement in your symptoms. Saline nasal irrigation using a neti pot helps in thinning the mucus and flushing out the nasal passages (10). 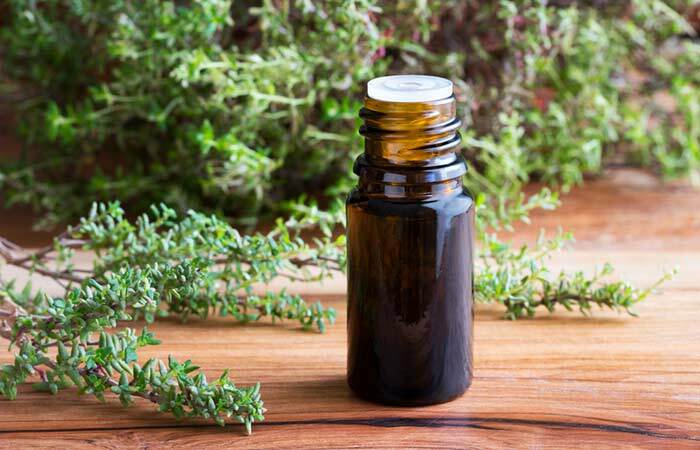 Note: You may put one drop of tea tree oil in the neti pot to fight viral, bacterial, or fungal infection. 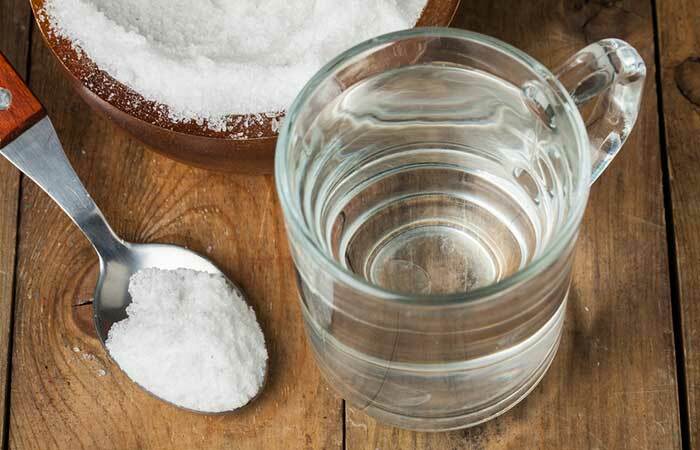 Add half a teaspoon of salt to a cup of warm distilled water. Mix well until the salt dissolves completely. Bend over a basin and sniff the water, one nostril at a time. This method is best for those who do not have a neti pot. Follow this remedy as and when required. Nasal irrigation with saline water has shown to be effective in clearing stuffy noses. It can also help with nasal congestion associated with allergies, cold, and sinusitis (11). Take a teaspoon of cold pressed coconut oil and warm it. Rub the warm coconut oil on either side of your nose. Leave it on until your skin absorbs it completely. The topical application of coconut oil on your nose has decongesting effects. 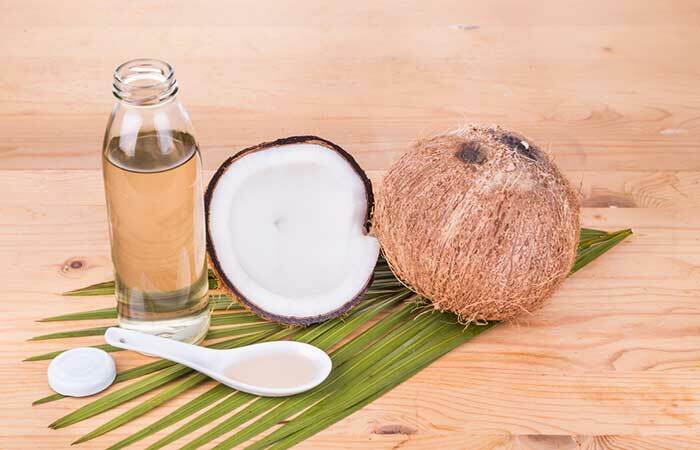 These effects could be due to the strong moisturizing, antipyretic, and anti-inflammatory activities of coconut oil (12). Bring a bowl of water to a boil in a saucepan. Simmer for 5 minutes and remove from the stove. Lean over the bowl of water and inhale the steam. Cover your head with a clean towel or blanket while doing so. You must do this at least twice daily for faster relief. 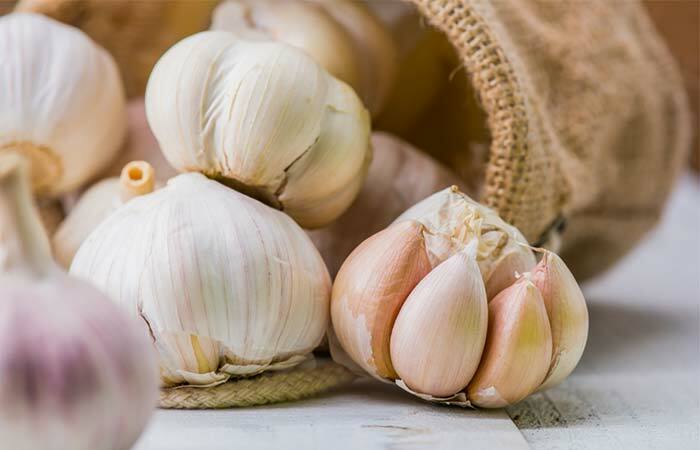 Garlic is a popular remedy used for clearing cough and congestion as it has expectorant and antimicrobial properties (13). Garlic also has anti-inflammatory properties that help in relieving swelling and inflammation in the nostrils (14). Add 2 to 3 inches of garlic to a bowl of water. Allow the ginger solution to cool a little. 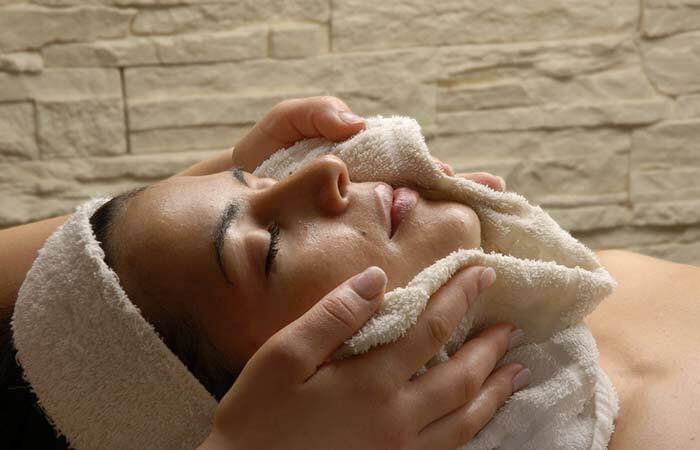 Once the solution is warm enough to be applied on the skin, soak a washcloth in it and wring out the excess water. Repeat the process at least thrice. You can also drink a hot cup of ginger tea for added benefits. Do this twice daily until you notice an improvement in your condition. Ginger has anti-inflammatory and antimicrobial properties, which make it your best bet for treating nasal congestion (15). 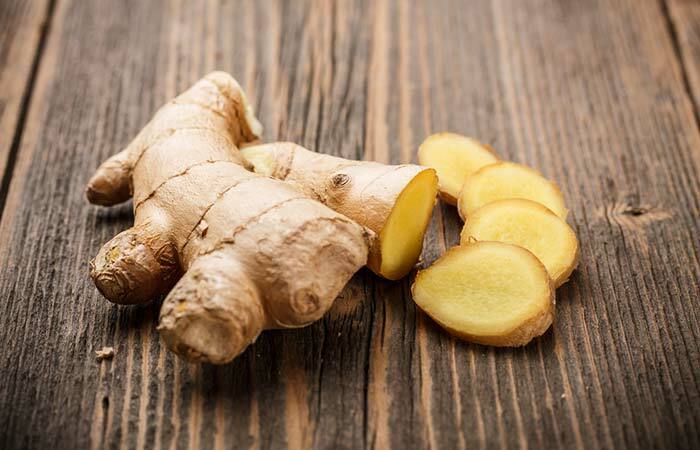 Ginger helps in reducing nasal swelling and fighting the flu-causing microbes. Applying gentle pressure or massaging certain pressure points near your nose, like the bridge of your nose, both the sides of the nose right under your temple, the edge of your nostrils, or even the base of your skull, can help in treating as well as preventing nasal congestion. Remove from the stove and allow it to cool for some time. Add half a teaspoon of salt to the lukewarm water. Once the solution cools down completely, transfer it to a spray or dropper bottle. Spray into one of your nostrils and allow the water to drip out of the other nostril. Repeat for the second nostril. Follow this procedure 2 to 3 times daily for faster recovery. 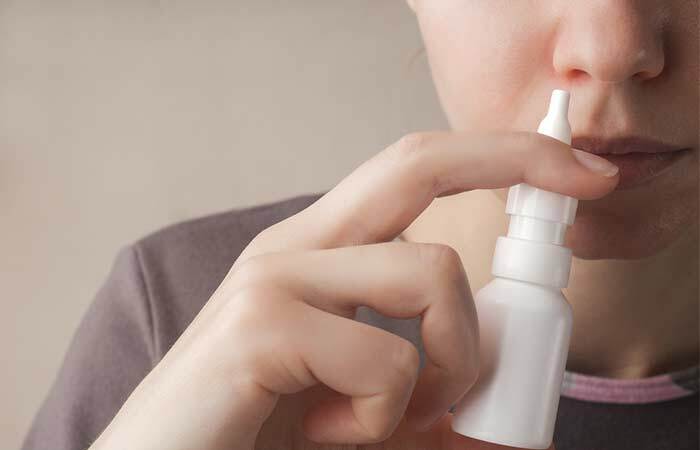 Using a saline spray is exactly like using a neti pot. It helps in nasal irrigation, flushing out excess mucus and relieving nasal congestion (16). All these remedies will definitely give you relief from nasal congestion and also prevent its recurrence to a large extent. You should also follow a few prevention tips to help these remedies work even better. Your nasal passages may be clogged because your mucus is too thick. Simple hydration can help thin your mucus. Water Guidelines: Drink half your body weight (in pounds) in ounces of water. If you weigh 150 lbs, you will drink 75 ounces. Add ¼ tsp of sea salt or Himalayan salt to every quart of drinking water. Do an experiment of one week to 10 days avoiding these foods and see how you feel. After the trial, eat one food at a time in large quantities and see if your nasal congestion returns. Use a humidifier in your room to keep the air around you moist and decongest your stuffy nose. Drink lots of fluids and keep yourself well hydrated. Keep your head elevated as it makes breathing easier. Avoid using chlorinated water as it may further irritate your nasal passages. Practice exercises and yoga poses that involve deep breathing. 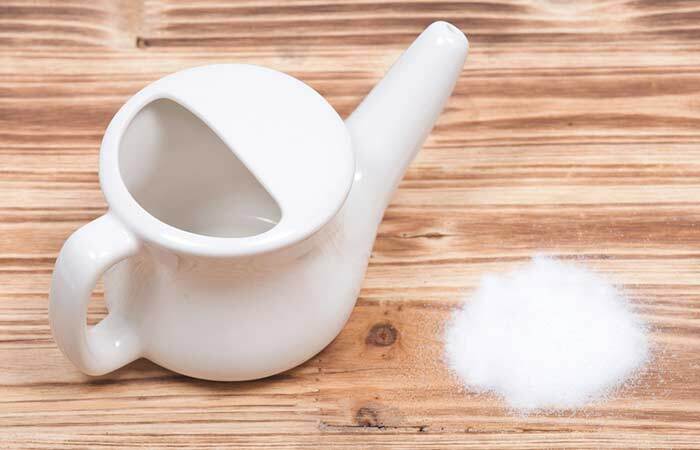 Use non-iodiized salt or sea salt in your neti pot or for nasal flushing. The next time you experience a stuffy nose, you know what to do. Any of the above remedies will give you almost immediate relief from the symptoms of nasal congestion. 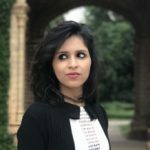 But, if your condition keeps deteriorating, it is best to seek medical attention, especially if your nasal mucus is green in color indicating a bacterial infection. Affected toddlers must also get medical attention as early as possible to prevent problems in feeding and breathing. Hope this post helps you combat a stuffy nose. If you have any other tips or remedies, please share them with us in the comments box below. Nasal congestion usually clears in about a week if it is due to some minor infection. However, if it lasts longer, consult a doctor immediately. Is it normal for one nostril to be blocked? Half of your nose could be blocked due to many reasons. Inflammation due to allergies can cause one of your nasal passages to be more swollen than the other. A deviated nasal septum is another cause for this development. Most of the times, it is completely normal for one of your nostrils to be blocked. In fact, your body also orders your nostrils to work one after the other. How should you sleep with a stuffy nose? If you have a stuffy nose, you need to sleep by popping a couple of pillows below your head. This helps in keeping your head elevated throughout the night, making breathing much easier. What is the best medicine for a stuffy nose? Medical treatment for a stuffy nose may include taking medications like oral antihistamines, antibiotics, or decongestants. You can also use nasal sprays and nasal steroids. However, be aware that you can get “addicted” to nasal steroid sprays. If you are looking for natural alternatives to relieve the condition, any of the above home remedies will do the trick.